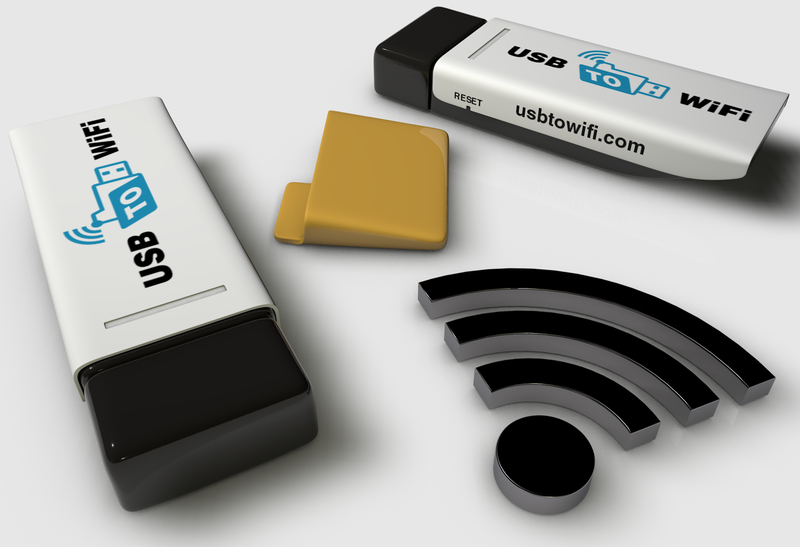 The USB to WIFI device is a Wireless USB Memory Stick. The stick was designed to allow you to transfer files from a remote location, wirelessly to almost any device with a USB port. This Wireless USB Memory Stick works just like a standard USB data stick but, reads files from a remote location. The USB to WIFI stick is perfect for applications that have USB ports but are not upgradable or do not have wireless, or network feature. With the USB to WIFI device, you can save your files into a shared directory on your computer and then share those files with as many USB to WIFI devices as you like! Perfect application for embroidery machines, CNC equipment, EDM machines, 3D printers, or almost anything with a USB data reading port.